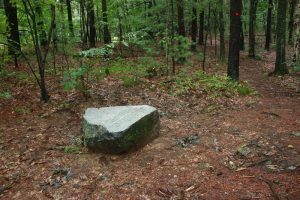 Brister’s Hill is a few hundred feet from Walden Pond, and was one of Henry David Thoreau’s study sites later in his life. 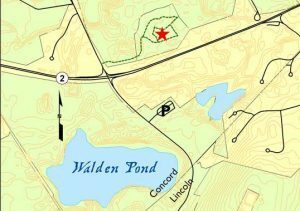 In the late 1980s, a large commercial development was proposed on Brister’s Hill that was such a significant threat to the Walden ecosystem that the National Trust for Historic Preservation twice listed Walden Woods as one of America’s Eleven Most Endangered Historic Places. 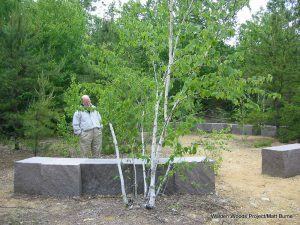 This threat, as well as another proposed development at Bear Garden Hill, spurred the foundation of the Walden Woods Project. Brister’s Hill was named after Brister Freeman (d. 1822), who was enslaved in Concord until sometime during his three enlistments in the American Revolution. Freeman was only the second person of African descent to own property in Concord, and was a notable figure in town as a result. 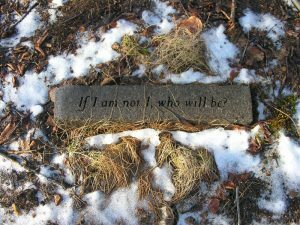 Thoreau recalled Freeman in Walden’s Former Inhabitants chapter, where he was held up as a heroic figure. 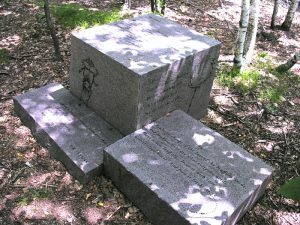 Thoreau’s studies of forest succession on Brister’s Hill later in life resulted in his posthumous essays, The Succession of Forest Trees and The Dispersion of Seeds. 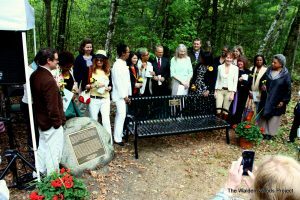 In 2013, we installed a Toni Morrison Society Bench by the Road at Thoreau’s Path on Brister’s Hill. The Bench by the Road Project seeks to recognize the contributions of enslaved people to the building of this nation. For much more about the program, we encourage you to visit the official Toni Morrison website. Brister’s Hill is now permanently protected and its original condition has been preserved. 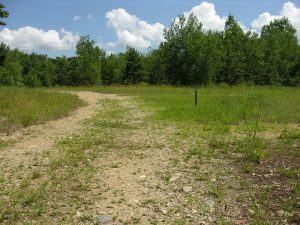 The Walden Woods Project has worked to improve the site by replanting native grasses and improving trails. 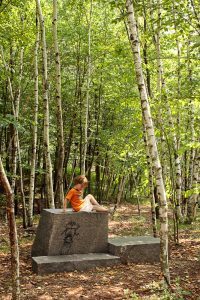 Brister’s Hill features an elegant interpretive path called Thoreau’s Path on Brister’s Hill, where Thoreau’s own words, incised in granite and cast in bronze, interpret the landscape and illustrate the powerful observations and insights of Thoreau. 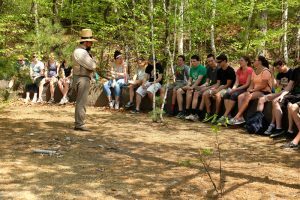 Groups that visit Thoreau’s Path on Brister’s Hill often utilize the quotations found along the path to prepare for or extend the lessons explored during their visit. 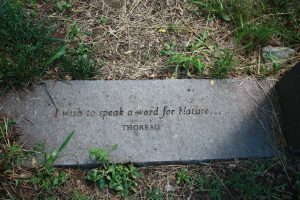 Click here for all quotations found along Thoreau’s Path. Also of note is the Emerson-Thoreau Amble, a Town of Concord trail linking Emerson’s House with Walden Pond. 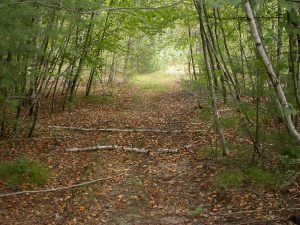 The Amble is the path Thoreau often used to go from one to the other, and passes Brister’s Spring and the entry meadow of Thoreau’s Path. 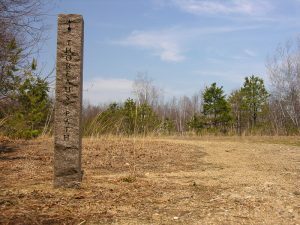 The Amble traverses much of the Hapgood Wright Town Forest and is a trail that links parking at the Town Forest to Thoreau’s Path. In collaboration with the Town of Concord, Thoreau’s Path on Brister’s Hill has been incorporated into a handicap assessed loop trail. 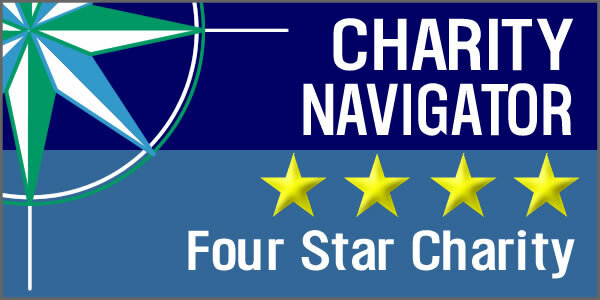 The assessment provides detailed information on slopes, surface conditions, obstacles, and other features that help trail users make a decision about access where needed. 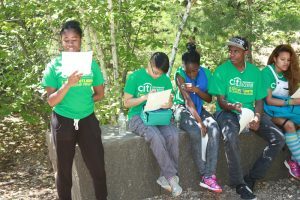 Parking and access is through the Hapgood-Wright Town Forest, 1/4-mile north of the trail entrance on Walden Street, opposite the entrance of Concord Carlisle Regional High School. 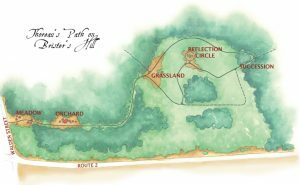 The trails at Brister’s Hill may be impassible in the winter due to ice and snow. During spring, summer, and fall, poison ivy may be present on or near the trails. Check for ticks year round with extra consideration in the spring and fall when ticks are most prevalent. 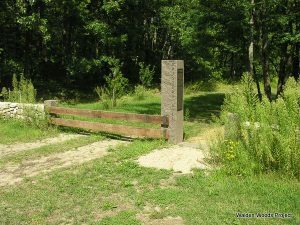 There are no fees associated with accessing Brister’s Hill.